Are you a beer loving foodie? 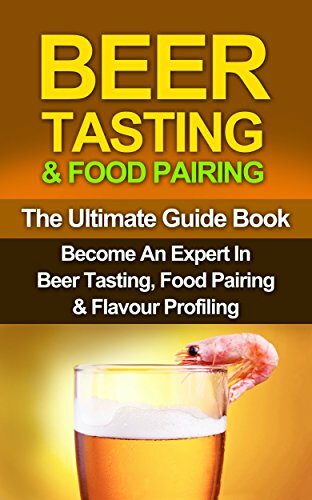 - Discover how to easily pair the right beer with the right food and create wonderful dining experiences! IMAGINE your a host at a dinner party, wouldn't it be super fly if you could take everyones dining experience to the next level by serving them the perfect beer at the perfect time with the perfect food. This book aims at delivering you that skill set! When you arrive at a restaurant you will often be handed the wine list and be expected to pick something that compliments your meal. What happens if you don’t like wine? It’s rare that they bring round a beer menu - in fact, beer was often looked down on at the dinner table. Not any more my friends! # 2 Learn How To Taste Beer - The Proper Way! Craft and artisan beers are making beer more popular than ever!! And why not? Beer has more ingredients than wine and the end result is a more complex and food friendly beverage. The only problem with so many beers on the market is knowing which one to choose, the list is endless! Once upon a time ale was the drink for old men and lager was what people drunk in between fights – thankfully, those stigmas are fading rapidly so it’s time to get out there are start finding out what beers you really enjoy for yourself. After you have learnt how to taste the beers properly and discovered all the flavors to look out for that you never knew existed you can start matching Beers with the foods that you love. Beer compliments food perfectly so get out there and start tasting new things!! This book teaches you about the different styles of beer and how to taste them to unlock their true flavours and aromas. Flavour is the key to discovering how to match the right beer with your favourite dishes. Don’t put it off any longer – a meal without beer is like a day without sunlight! If you really care about making the most out of your time on Earth, Scroll Up & click the "BUY" button NOW to get this book.